Multiple autoimmune syndrome is a condition in which a minimum of three distinct autoimmune diseases have been diagnosed in a person..Autoimmune diseases are chronic disabling conditions that occur when a persons own immune systems turns on itself. Any once healthy cells, tissues and organs can be involved and can lead to a diverse set of changes within the body depending on the autoimmune disease that is diagnosed. Examples of autoimmune disease are; fibromyalgia; HIV/AIDS; Lyme disease; Systemic Lupus Erythematosus; Rheumatoid Arthritis; Psoriatic Arthritis. 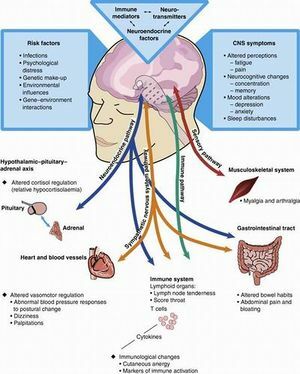 The pathogenesis of MAS is unclear but to date environmental, infectious, psychological, genetic, and immunologic susceptibility are being investigated. Type 2 MAS includes Sjogren's syndrome, RA, scleroderma, autoimmune thyroid disease . Type 3 MAS includes SLE, DM1, Sjogren's syndrome, Addison's disease, vitiligo, dermatitis herpetiformis, autoimmune thyroid disease. The outcome measures chosen will vary depending on the autoimmune diseases present. For clients living with a chronic autoimmune disease physiotherapy can be immensely beneficial for the ailments associated with the condition. For individual autoimmune diseases the physiotherapy protocols will be the same but with MAS a long term educational holistic view is warranted more than ever. Symptoms such as joint swelling, muscle wasting, increased falls risk due to loss of neurological coordination, pain, fatigue, inflammation, isolation and depression can all be addressed. 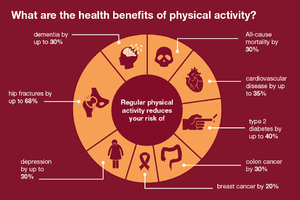 Tailored physical activity programs are a fantastic way to improve energy levels, decrease stress , increased a persons sense of well being and a myriad of physiological benefits. Specific and general techniques can be employed eg individual tailored exercise programs, pain education, hydrotherapy, balance training, energy conservation, diet plans/ advice, group exercise participation, goal orientated activities. A tailored walking program is often an option. In conclusion note that is important with chronic life changing diseases to take a holistic approach including specific and varied physiotherapy skills, good patient education and family/ carers inclusion. ↑ 1.0 1.1 1.2 Cojocaru M, Cojocaru IM, Silosi I. Multiple autoimmune syndrome. Maedica. 2010 Apr;5(2):132.